Back at the 2006 WSOP all the attention was on Jeff Madsen, the 21 year old player who won two bracelets and made headlines across the world. That year he managed four chases, two wins and two third place finishes and took home prize money exceeding $1.2 million. Jeff Madsen won the pot-limit Omaha Event 35 to claim his first WSOP bracelet since 2006. However, over the last six years he has failed to recreate his success. 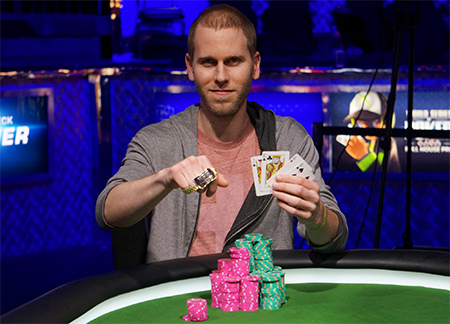 That was until last Friday night when he won the pot-limit Omaha Event 35 and took home his third WSOP bracelet and $384,420 prize money. To claim victory Madsen had to beat a field of 640 players and overcome a final table that included Omaha expert Scott Clements. Madsen began the final day with the chip lead and played impressively throughout the day to claim his first WSOP win in six years.